Fast & Furious 7 has already gained attention for the addition of a new villain played by Jason Statham and its director James Wan (The Conjuring), who is said to be approaching the latest addition to the profitably sturdy action franchise as "a gritty '70s revenge thriller." Beyond Statham being added to the cast, there seems to be very few new faces to join stars Vin Diesel, Paul Walker and Dwayne Johnson. That is, until now.THR is reporting that Thai-born action star Tony Jaa will join the cast. A stuntman-turned-actor, Jaa is best known as the star of the internationally-successful Ong Bak series, a title which translates (basically) as "Muay Thai Warrior." 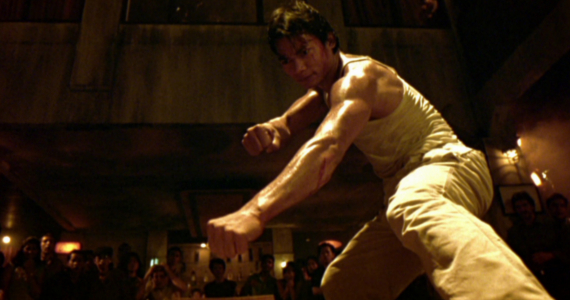 Jaa starred in the original and went on to star, co-write and direct Ong Bak 2 and Ong Bak 3. By most accounts, the series contains incredible fight choreography, thin storylines and almost nonexistent characterizations. Still, it's been successful enough to get Hollywood's attention. Jaa's role in Fast & Furious 7 will be his first big studio release as well as his first English-speaking role. "I have been a big fan of the 'Fast and Furious' franchise. The films are fast-paced, fun and keep the audience involved. There is a great mix of humor and action, something I really appreciate. There is no better film to be involved in for a first U.S. studio production." "Having a chance to work with Vin Diesel and The Rock already makes me a winner." Could Jaa follow in the footsteps of Jackie Chan or Jet Li in attaining a large following among American action audiences? His inclusion in this ever-popular franchise might point toward an attempt by the producers to strengthen the overseas potential of the seventh installment, which is said to be set primarily in Los Angeles, returning the series to its starting point after plots which found the crew barreling through Miami, Tokyo, Mexico (after stops in LA and DR), Brazil and Europe. It probably won't need much of a boost, though, since this past summer's Fast & Furious made over $786 million worldwide, with two thirds of that total coming from foreign markets. As we've pointed out before, there's plenty to like about the series, and adding the horror maestro James Wan as director is a bold choice. Too many venerable franchises appear to resist trying new things (we're looking sadly in your direction, A Good Day to Die Hard), and while long-time series screenwriter Chris Morgan's story is still under wraps, a new face in the form of Tony Jaa might be a hint at what's in store. What do you think, Screen Rant readers? Do you approve of the addition of Tony Jaa in the Fast & Furious franchise? Let us know in the comments. 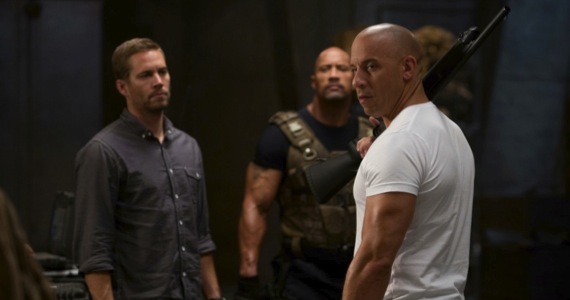 Fast & Furious 7 is being fast-tracked for a July 11, 2014 release.